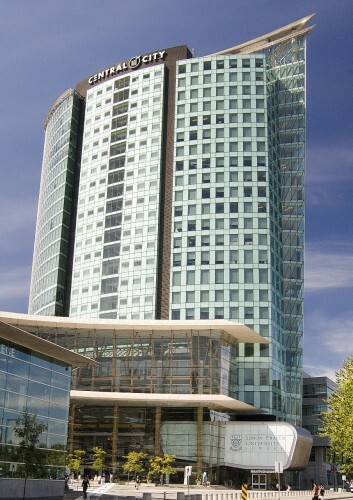 The holiday season was a busy one for many of our clients, and McQuarrie Hunter LLP has to be near the very top of that mix, with a move of three different office locations in Surrey and New Westminster into a single modern new premises in the dynamic (and Bing Thom Architects-designed) Central City complex in Surrey. Client Services Director Marni MacLeod and I visited Central City in December shortly before the firm’s scheduled move and were both left impressed by what we saw. Bringing all of McQuarrie’s lawyers together under one roof also presented an opportune time to refresh the firm’s corporate identity, and we were excited to work with the firm on that aspect of their brand. You can check out the new look in the latest work section of our portfolio, and we are currently hard at work on a re-developed McQuarrie Hunter website set for release later this year.